Expert witness testimony by vocational evaluation consultants is becoming increasingly common in litigation involving claims of loss of employability and earning capacity. This well-established practice clearly reflects the practical value of documented opinions from respected experts in this highly specialized field. Grounded in extensive research and precise analysis, expert opinions provide objective, quantifiable measures of vocational damages suffered. Experience continues to show vocational evaluations to be persuasive to the court and effective in facilitating equitable solutions. These benefits become clear in the context of typical litigation scenarios where vocational evaluation experts are not called as witnesses. 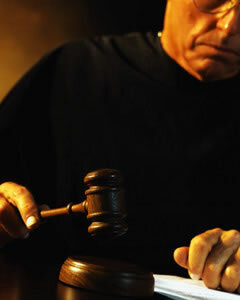 Personal injury cases often rely on testimony from doctors assessing the degree of a person’s disability. Even in cases where the doctor asserts that the person is totally disabled, attorneys, judge and jury must make judgments that are ultimately subjective about what that means in economic terms. An economist might testify about projected loss of earnings for a high school graduate versus a college graduate, using analysis of economic statistics, but the testimony lacks particulars about the injured party’s unique circumstances. In divorce petitions in which employability is a key factor, earnings capacity projections frequently rely on the widely divergent opinions of the claimants. In practical terms, "expert opinions" such as these leave substantial room for interpretation. Even using guidelines issued by judges, juries are left to translate generalities into personal terms, often resulting in awards that are unacceptable to one or both parties, with no objective standard for resolution. Qualified vocational evaluation experts can eliminate or minimize the gray zone in these cases by establishing objective parameters for quantifying vocational damages—such as loss of earning capacity in specific markets or the extent of residual employability. Comprehensive reports that satisfy all parties are also invaluable resources for facilitating settlement without the expense of jury trials. For personal injury litigation, additional benefits can be achieved using vocational evaluation experts with integrated capabilities in earning capacity analysis and life care planning for long-term medical needs. In all cases, effective use of vocational evaluation experts in litigation depends on credibility and experience.